Begin by showing your little ones your camera and the accessories to go with it. Teach them how it works and the proper way to care for it so it doesn’t get damaged. Let them practise holding it and taking a few shots, then look at their photos together. Do they have a favourite place where they want to take pictures? Or maybe they want to start by taking photos of their favourite pets. Talk with your child and together decide what will be the subject of their first photoshoot. Brainstorm ideas with them of different poses, different colours and different angles to capture their subjects. Try silly poses or shots of their toys to have some fun. Go for a walk and find interesting objects in nature such as insects, trees or other plants. Design a scavenger hunt for them to find specific objects and photograph them. Photography is engaging, especially when you can view the photo instantly after taking the pic. Help your little shutterbug understand how to properly frame (centre the subject) their photos and determine what should be in focus and what should be in the background. Answer their questions, and keep an open dialogue going throughout the learning process. This will help keep children from becoming distracted by the camera itself and interested in taking the best picture possible. For more difficult concepts, have your child write them out to reference later. 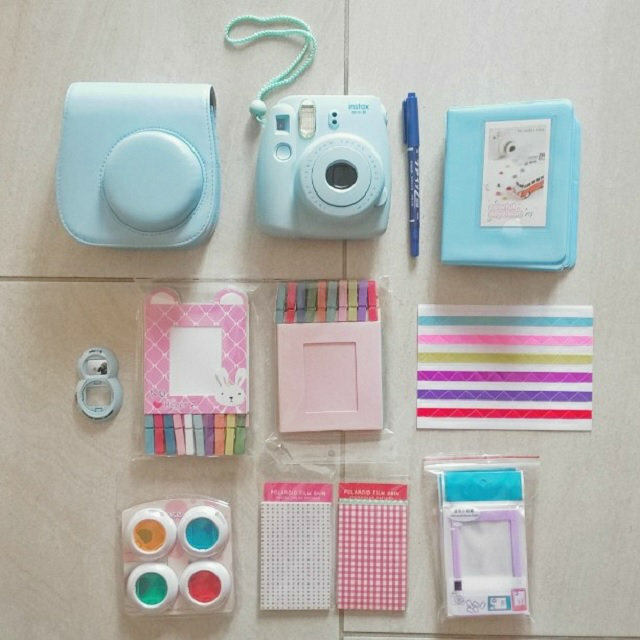 Unlike other cameras, instax satisfies a child’s need for instant gratification. The photo appears immediately after taking it, which can excite your child and send them into a photo-taking frenzy. Make each roll of film count by setting up your subject, proper lighting and the photographer’s angle before snapping any shots to optimize your chances of getting a great picture. Sometimes kids can get so excited they want to work at maximum speed—teach your little one that this is a leisurely activity and that the best pics are usually taken when carefully prepared. The more time they put in, the more quality they will get out of their efforts. Once they have their instax pictures, introduce them to a DIY project you can work on together to make something out of the photos. Show them that photography doesn’t end with taking pictures —there are many ways to display them that will dazzle and delight. Take your camera along for any adventure together, whether it’s the zoo or the market. Encourage your little one’s photo fascination over time and it will become a talent that stays with them their whole lives. What are some ways you’ve inspired kids to get interested in photography? Let us know in the comments below!